Lake Powell is one of the most beautiful places I have ever seen! The tall red cliffs dropping down into beautiful greenish-blue water is a must see. There are many canyons to explore and endless amounts of fun things to do. 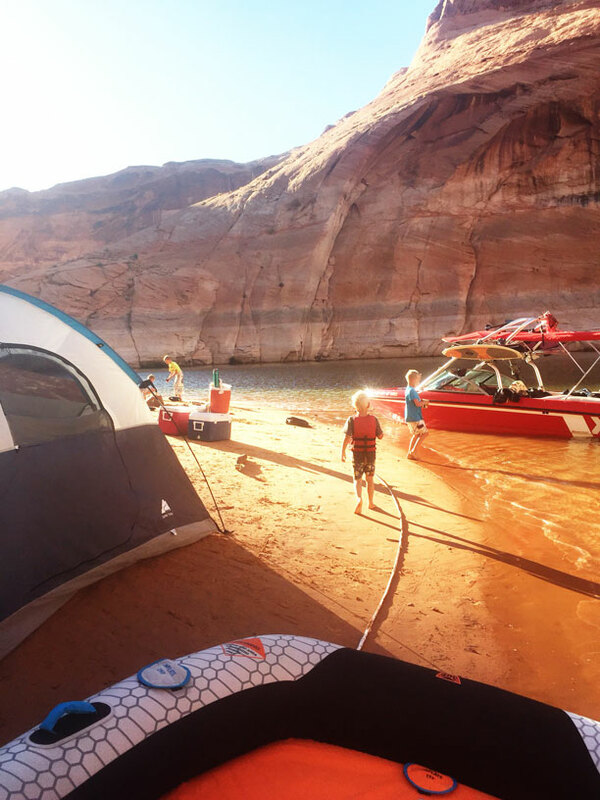 I want this post to focus on helping a mother prepare for their families next Lake Powell trip. We have been going there for years and have tried many different things that hopefully will help you make your trip that much greater! 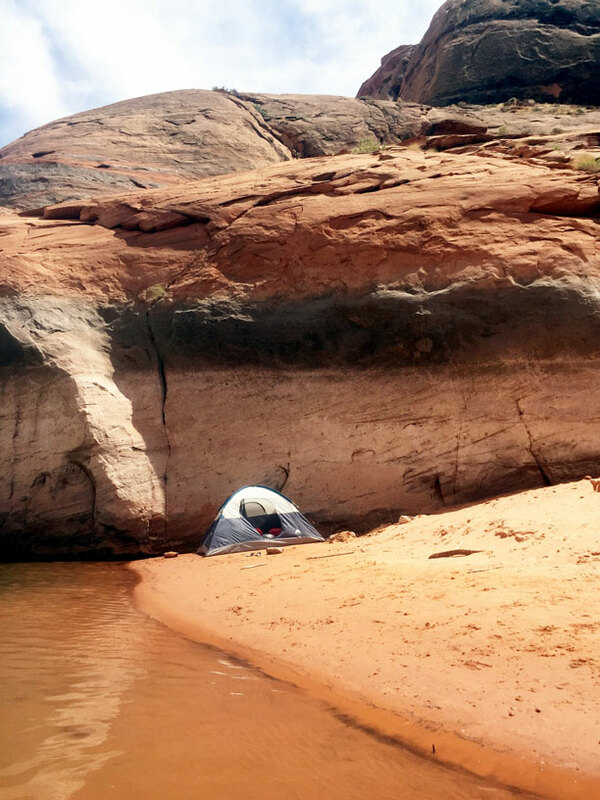 There are lots of ways you can go and enjoy Lake Powell, but for the sake of covering everything, I am going to assume you are camping in a tent on the beach. 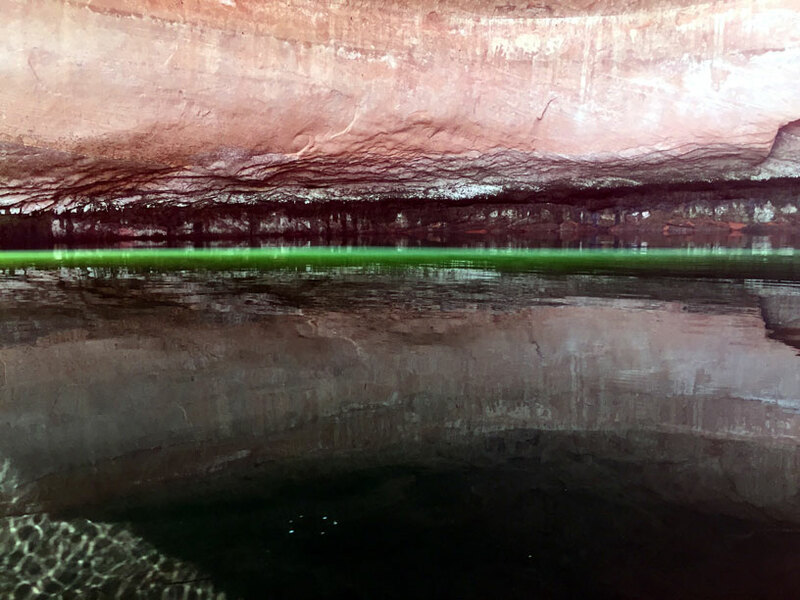 This post will cover all aspects that you will need while in Lake Powell. I know many of you are probably not camping in a tent (you should try it if you haven’t! I love it), but camping in a tent requires you to bring everything. You don’t have the luxury of a fridge, toilet, air conditioner or a stove. If you are camping on a houseboat, motorhome or a rental, you can cross off some of these items. When you go camping you have to think about every little thing you may use. I like to plan my meals first and then mentally make each meal in my head to make sure I have all of the ingredients and utensils I need to make each meal. Go through your meal plan and think of each item you may need. I like to bring a a big plastic tote to hold all of my cooking supplies in. It keeps it organized and in one spot. Skillet – This one is a cast iron one that can serve as a lid and a skillet. There are also lots of options out there where the handle comes off for easier packing. We like make taco meat ahead of time and then warm it up in a skillet. Super fast and easy. We also make scrambled eggs with a skillet as well. A propane stove- This one isn’t expensive, its small and portable with great reviews. Mixing spoon – I would bring a wooden spoon as well. Dish soap – remember not to wash your cast iron pans with soap. Just water and then re-season with oil. If you want a compact set of cooking supplies made for camping this set has great reviews. Paper good – plates, spoons, forks, knives and some cups (If you don’t want to do paper than plan on bringing your own plates, cups and utensils.) We would always wash our dishes in lake water and rinse with clean water. Saves you on water. If you are wanting to bring food that needs to be refrigerated there are a couple things you can do. There are coolers that you can hook up to a small generator (this generator is quiet and portable). If you place a jug of water in the cooler and run the generator until the water turns to ice, you can then turn the generator off creating a cooler. We did this on our last trip and it worked great! Another option to keep your food cool is to bring coolers and plan on getting blocks of ice from the Marina everyday. We do this option when we aren’t planning on camping very far down the canyons. Other times we want to explore the canyons and not worry about going back and forth from the marina. When we do this we prefer to have food that doesn’t need refrigeration when we go camping. This makes it so we aren’t worried about the food going bad. There are so many options you can do for meals that doesn’t require refrigeration. Bring a 5 gallon cooler of water and a smaller 2 gallon one. We brought 2 water coolers which worked out good. The ice in the 2 gallon water cooler kept our water cold for almost 2 days, and then we would refill it with the water in the 5 gallon cooler. I like to bring a water bottle for each child. Make sure the water bottle won’t spill out if knocked over. They will be tossed around throughout your trip.. You could get just a big gatorade for everyone and refuse that bottle. Those are perfect with a wide opening for the powder and they are sturdy and last a long time. This is perfect to keep your kids hydrated and takes up little space. Have your kids drink lots of water. If they start throwing up, they are probably dehydrated! Get some fluids in them and try and keep them out of the sun until their body catches up again. If you bring milk you can freeze your milk before hand and place it inside your water with a block of ice. It will keep your water cold and your milk as well. For some yummy camping meals check this post out! I like to roll all of these items up together in one. It allows it to stay all together making transport easier. A squirt bottle- In the middle of the night it can get hot. The squirt bottle is perfect to squirt everyone down to cool them off. Tent- A tent is good for so many reasons. It keeps all of your stuff in one spot. It anchors your tent and makes it heavier during rough winds. The wind can get brutal at times. If you sleep on top of a house boat you won’t have horrible dreams about your kid rolling off or walking off into the water in the middle of the night. Look how cute our tent is! It was so fun camping here! We got shade in the early evening which felt wonderful! Okay, I always overpack clothes! Think about it. 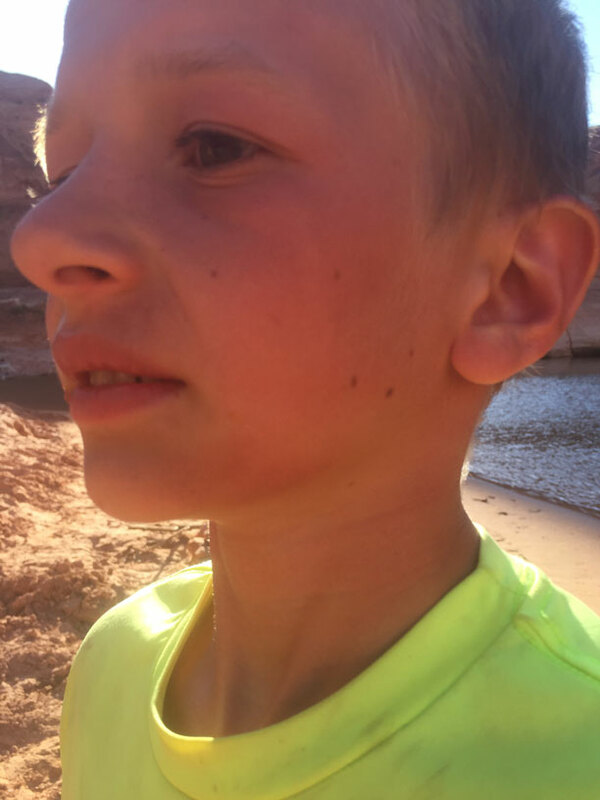 At Lake Powell you are in a swimming suit all day, and then at night you are in pajamas. Here is what I packed for my kids for our 4 day trip and we didn’t run out. 1 pair of pajamas for each child. 2 swimming suits for each child just incase one rips or breaks. 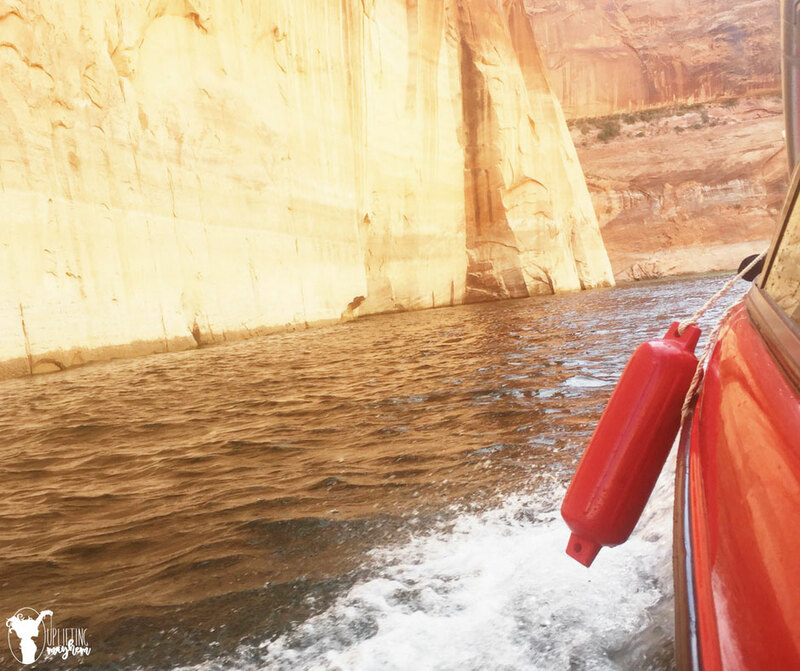 A jacket – Lake Powell can be unpredictable. I brought a hoodie for each child (we didn’t end up using them) just in case of a storm or cold nights. Check the weather forecast to see if you need anything more than a light jacket. Make sure it fits well. They will live in this life jacket and you don’t want one too big or too small or you will deal with chaffed skin. You need to be very diligent in reapplying sunscreen on at least every 2 hours. Here is some tear free sunscreen for your kids faces. It was fabulous to have. This will save your child’s skin! If your like our family, a lifejacket is worn at all times while playing around the water. 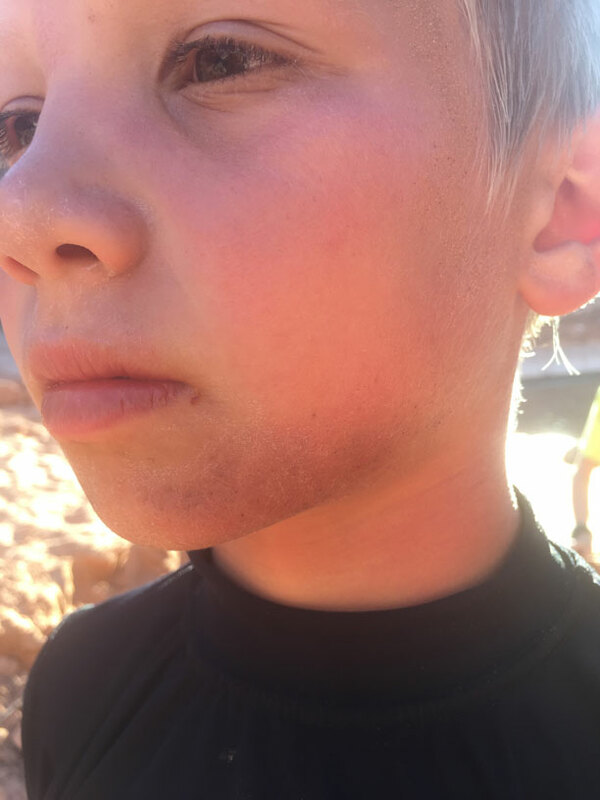 It gets really hot in Lake Powell so the kids live in the water causing a rash and chaffing on different parts of the body. Especially under the chin. If you put Aquaphor on each of these problem areas every night before bed it will keep their skin from breaking down so much and becoming very painful. My oldest was great about putting on the Aquaphor everyday by himself and his skin never broke down. It was slightly rough but was considerably better than my other children. Beach toys are must when your kids just need a break from the water. One way to help protect the skin is by getting each child a long sleeve rash guard. This will protect the other parts that tend to be trouble areas like under the armpits and along the waist. This stuff helps my kids sunburns sooo much. They go to bed in pain and they wake up with a nice tan. This may be different with your skin type but from what I have used it for it works fantastic. I used a couple drops of peppermint, lavender and lemon mixed with coconut oil for the base. If you don’t want or have essential oils than get some kind of aloe vera. 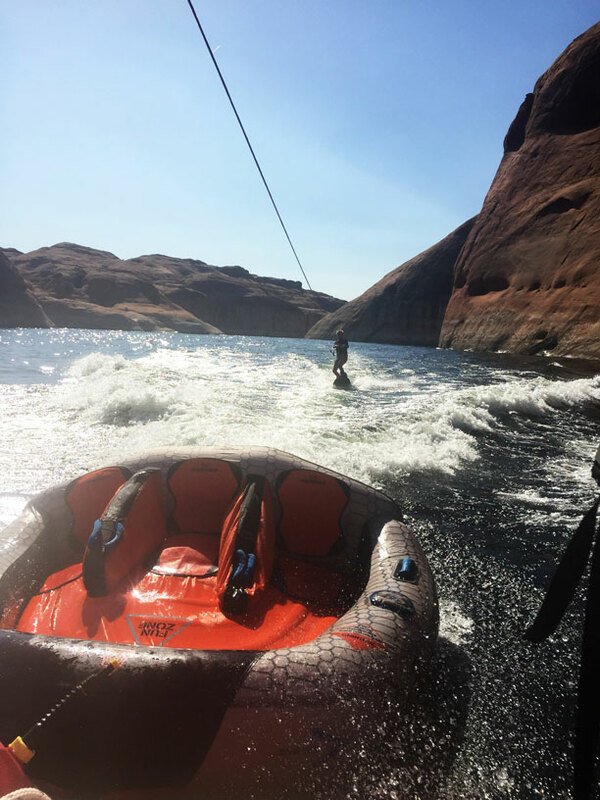 On our fourth day at Powell my kids legs were dry, burned and tight. Humans are not made to live in the water that long. Ha Ha. My son was miserable so I sprayed the essential oil spray on his legs and lightly rubbed it in and then I rubbed on Aquaphor afterwards. It stung for a little bit having both on there but he reported about an hour later that his legs felt tons bette. In the morning I didn’t hear one complaint. Toilet Paper – Get toilet paper that is made to dissolve fast. If you don’t just don’t put your toilet paper in your porta potty. We just place it in a garbage bag thats close to the toilet. This makes it so the toilet doesn’t fill up as fast. Camping Chairs- We don’t bring these because of space. We just make due sitting on the ground, sand, or in the boat. You can even use the coolers to sit on. There are also these cool tri-folding chairs that are small. Gas Cans full of gas- Gas can be pricey at the marina. It’s nice to have 2-3 gas cans for back up. Alright I think that is it! I hope this helps you prepare and have a fabulous time in Lake Powell or any camping trip for that matter. If you are going to Bullfrog Marina there are great camping spots up Moqui Canyon. On the Wahweap side, Lone Rock beach is fantastic. For a post about putting the FUN back into your family vacation you can check this post out.